NHTSA has published a request for comments on headlamp glare. Check it out here. Current comments from the public are filed in the NHTSA docket #8885. As of 1/21/02 they have received over 1500 responses!!! It appears that NHTSA has added a bunch of interps since I last checked. I've included some interesting letters I found in the interps section. Check out what NHTSA said about lamp covers. We welcome representatives from NHTSA, AMECA, the Springville, UT, San Jose,CA and Fremont, CA police departments, and the Oregon DOT as contacts on the lighting enforcement contacts list. 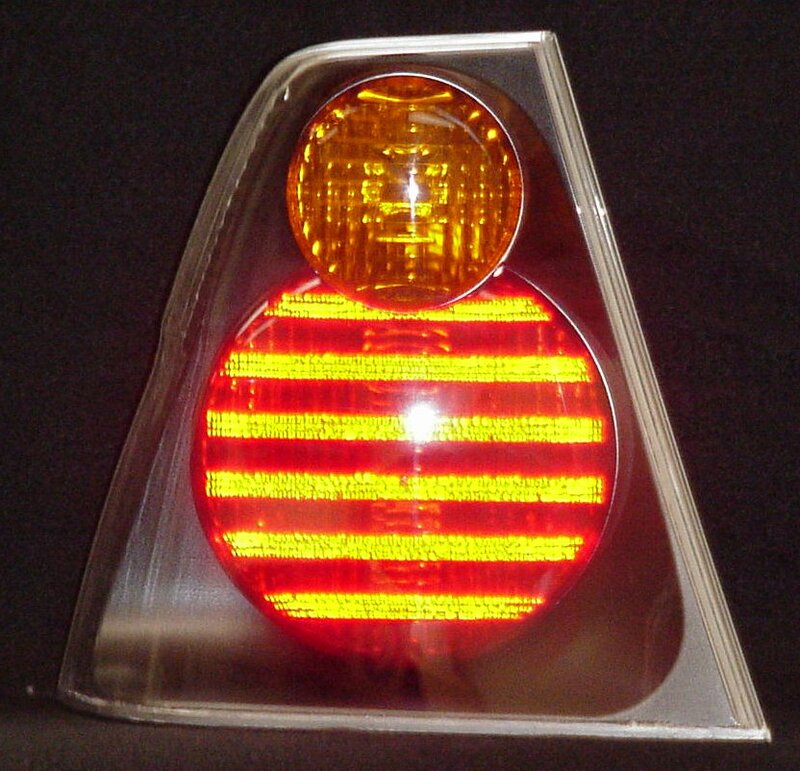 - Continued expansion of the taillamps page. With more pictures and a deeper analysis of an Altezza style taillamp and links to relevant NHTSA legal interpretations. - Expansion of the replaceable light sources page (headlamp bulbs), including an overview of the basic requirements of the standard . 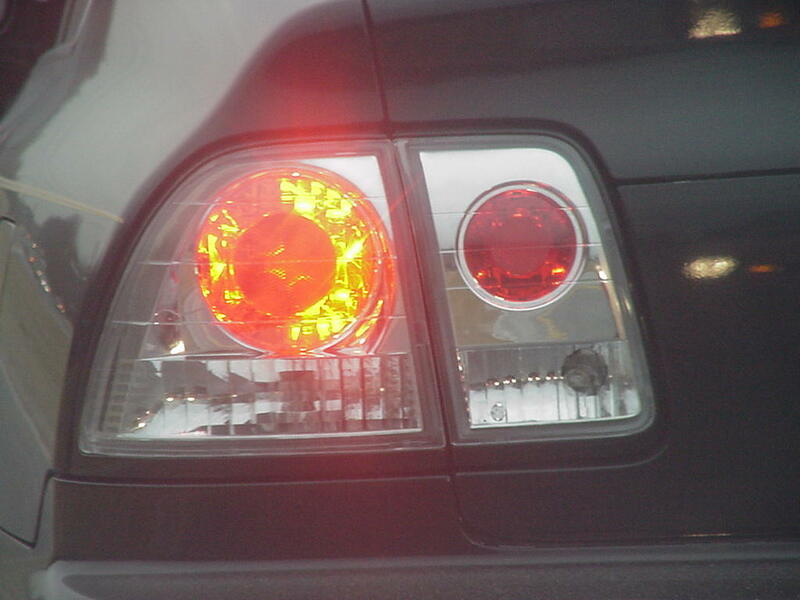 Taillamps with clear lenses seem to be the hot issue based on the investigation summaries published by NHTSA. Several recalls have been started in the last year and several more investigations are in progress. Blue bulbs - Based on information from the NHTSA monthly status reports, NHTSA has three investigations open with Philips, Osram Sylvania, and Federal Mogul regarding "Blue bulbs." 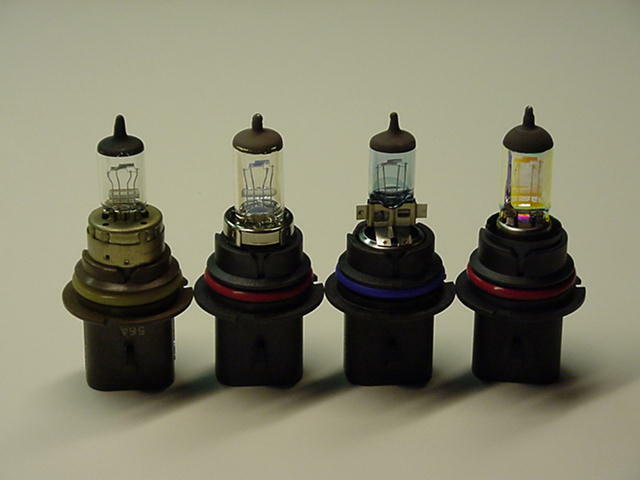 Blue bulbs are the common terminology for coated replaceable light sources that are advertised to have similar performance and appearance of OEM high intensity discharge (HID) headlamp systems. This site is a compilation of information which is publicly available from the National Archives and Records Administration, the NHTSA, the DOT Docket, and various States' internet websites. The information is reformatted into plain language without alteration of content or intent. This site is geared towards educating Law Enforcement Officers and consumers as to the safety and legal implications of lighting products with the Federal laws. If your state has adopted FMVSS No. 108 into its motor vehicle code, you may be able to apply the information presented to your state laws as well. This site is not affiliated with any Federal, State, or Local organization. The views expressed on this site are the opinions of the author and should not be used to determine the legality of motor vehicle equipment in accordance with Federal laws. Should you need to do that, you can visit any of the organizations whose links have been provided on this site. You also should contact such federal, state and local agencies as necessary. Any resources used in the production of this site are my own. I apologize for the banner ads at the top of these pages, I am utilizing a free web hosting service which requires it. The time spent organizing this information is charity enough, we will all just have to live with the free banners.